Sindhu here. Hope you are all doing great. 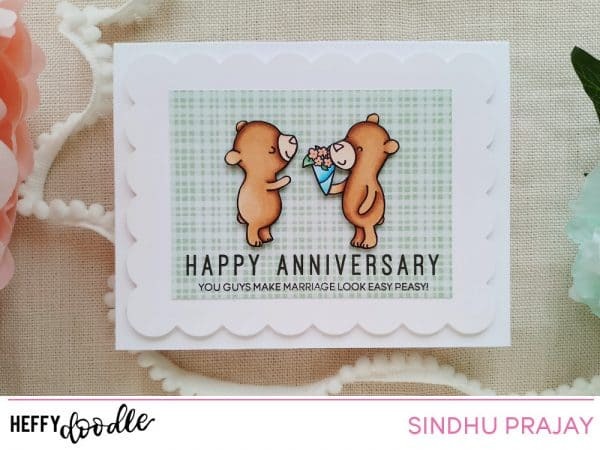 I made a simple anniversary card for today’s post. 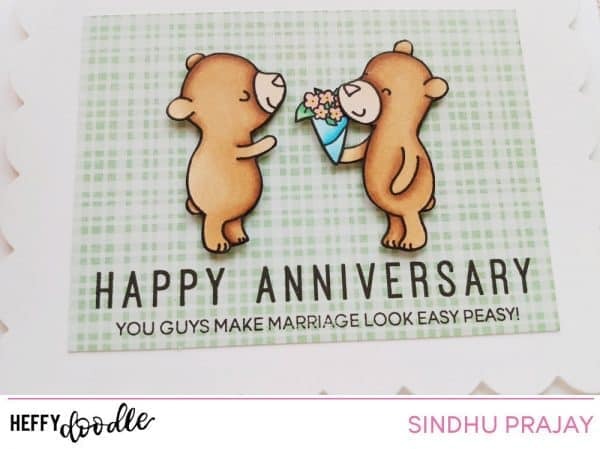 I used the Beary Big Heart stamp set. 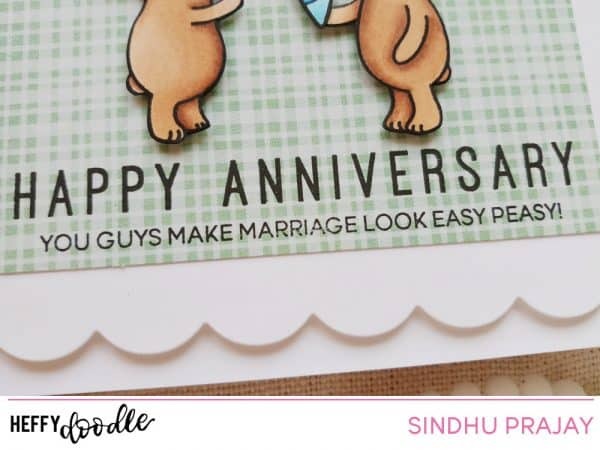 It has adorable bear images and fun sentiments to match. I started by stamping the images on a pice of Neenah solar white cardstock. I coloured just the bears and fussy cut them out leaving the heart. I adhered the image on a piece of patterned paper and stamped the sentiment from ‘Everyday sentiment duos’. Finally layered the patterened paper on a scalloped rectangle die cut and adhered it on the card base. I hope you like my card today. Thanks for visiting! He he Adorable card ! This card is. Just unbearable. So cute.